The Yocan Evolve 2.0 is an all-in-one pod system vaporizer kit which an excellent performance. Four colors are available. The Yocan Evolve 2.0 is a typical all-in-one pod system vaporizer kit aiming to offer an excellent performance. 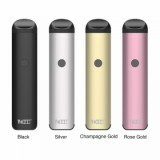 You can easily change the flavors with its three types refillable pod options, e-jucie pod, oil pod and concentrate pod. Both the e-juice and oil pods are equipped with ceramic coils for smooth and flavorful vapor. 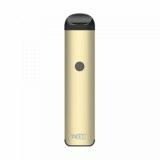 The concentrate pod utilizes quartz dual coils, which guarantees a clean and smooth essence. 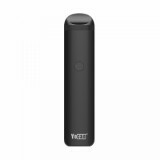 It is equipped with a 650mAh built-in battery that provides enough power for your daily vaping needs. It also boasts three preset heat settings so you can easily adjust the battery's temperature level to suit the material you're vaping. Four colors are available. • BuyBest have many other pod kits on sale now. • You can buy the replacement pod at BuyBest with cheap price now. Picked this Yocan Evolve 2.0 as my first pod kit since it has 3 type of refillable pods. The juice and oil pod works very well, no weird taste or anything. Haven't got a chance to use the concentrate pod. So far I am satisfied with it. Used the Evolve 1.0 before and it worked well. When I know Yocan introduced the 2.0 evolve, I ordered it without hesitation. 3 type of pods offers different vaping experience, but tbh, I am not quite impressive so far compared to the first version. And my oil pod leaks a little bit sometimes.